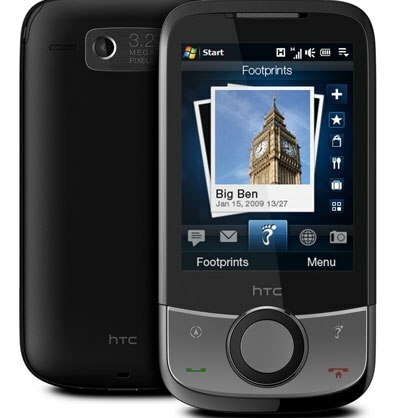 The leading company in mobile phone innovation and design, HTC Corporation (High Tech Computer Corporation) has announced an updated version of its popular HTC Touch Cruise smartphone – (same name) new HTC Touch Cruise, which boasts a new, more compact and sophisticated design, featuring a bundle of new capabilities, and revolutionary HTC Footprints geo-tagging application that allows users to permanently chronicle their special precious moments by capturing a digital postcard on their smartphone. “Just as we have seen GPS technology transform how people navigate to new places, we are now seeing location-based applications like HTC Footprints changing how we interact and carry our memories,” said Peter Chou, President and CEO, HTC Corporation. The new HTC Touch Cruise personal navigation handset which measures 102 x 53.5 x 14.5mm and weights just 103 grams is expected to be available in spring 2009. Watch product tour of the new updated HTC Touch Cruise below!